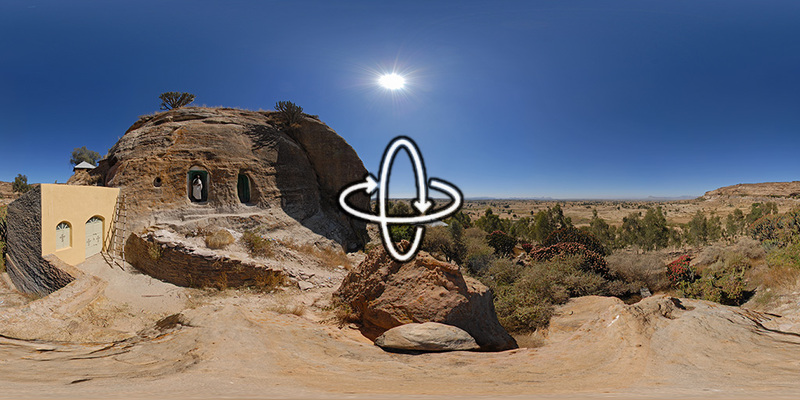 “Many monolithic or rock-hewn churches are found near Wukro in the Tigray province of Ethiopia. These churches are made from a single block of stone. Because freestanding rocks of sufficient size are rare, such churches are usually hewn into the ground or into the side of a hill or mountain.” More on Wikipedia.